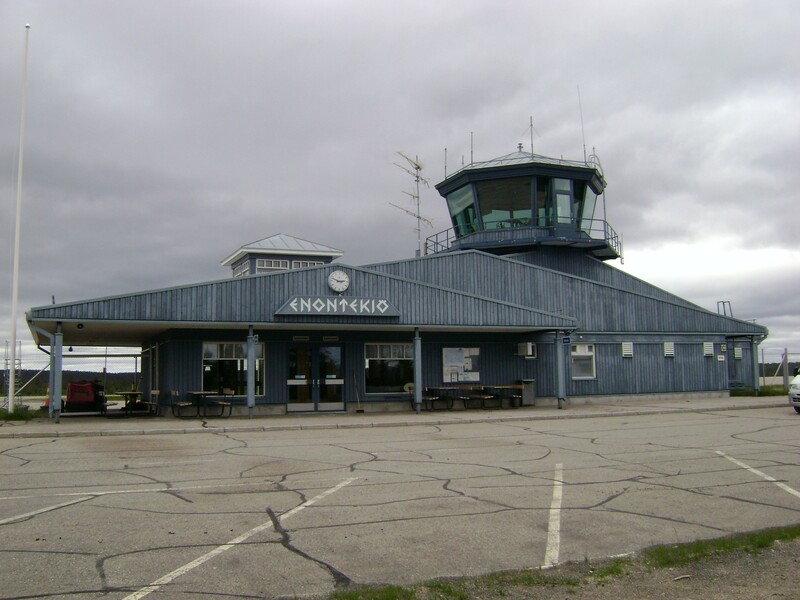 Enontekiö Airport (Finnish: Enontekiön lentoasema) (IATA: ENF, ICAO: EFET) is an airport located in Enontekiö, Finnish Lapland, 5 NM (9.3 km; 5.8 mi) west southwest of Hetta, the municipal centre of Enontekiö. It is mainly used for charter flights during the winter, particularly those of UK tour operator Transun, whose passengers account for 80% of the airport’s passenger volume. Passengers on these flights are tourists coming to experience Lapland for the day or to enjoy a stay in the nearby villages of Hetta, Karesuando (Sweden) or Kautokeino (Norway). Regular flights to Enontekiö are established only in the spring and the autumn. In spring 2015 these flights were operated by Flybe Nordic. From autumn 2013 to spring 2014, the flights were operated by Air100. In 2012 and 2013, the spring flights to Helsinki-Vantaa were also provided by Flybe Nordic and before this by Finncomm Airlines. In December 2012, Enter Air operated special «Santa flights» to Enontekiö from various UK destinations on behalf of tour operator Transunand this service continued in following winters including trips with a week’s stay. 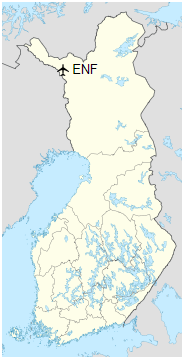 The nearest airport with daily flights is Kittilä Airport, 150 km road distance. In August 2009, Finavia informed that the airport would be renamed as Enontekiö-Kautokeino Saami Airport. This was because Kautokeino in Norway (located 90 km from Enontekiö Airport) has no airport (except Kautokeino Airport which has no scheduled flights), and the nearest in Norway is 135 kilometers away. This name has been used a little in Norway, but not really by the airport.